You probably think you're not allowed to bring a gun into California and shoot into a mob who's lobbing explosives at you. What you're about to see may change all that. And turn the tide of this war. As a layman, (not a lawyer) it looks to me like Kentucky is a little different than some states you may be used to. We'll start there. The "Duty To Retreat" can be misleading. A reasonable & prudent person would retreat if they could. SIMPLY MAY NOT APPLY TO YOU. Even if you've "violated the law" (in protecting yourself and others with lethal force) and acted far in excess of what police officers are legally allowed to do. They're not likely to tell you about it. Your criminal attorney isn't likely to tell you about it because they're not used to defending an innocent man. You may not even realize how laws like the Stand Your Ground laws effect you vs. an attacker or you vs. the mob. If you're used to being abused by the media. By the system, you might have no idea what extraordinary legal rights and responsibilities you may actually have. Even when you know what's going on, you may mistakenly obey the wrong laws, without knowing how to effectively defend yourself, leading to disaster for us all. You might feel legally vulnerable. And you probably feel a lot more vulnerable than you should. This is what the leftist parasites want. You may be unsure of when you're permitted to to use lethal force. And if you're uncertain, even slightly, even for half a second, it may cost you your life, or that of someone you love. You may make the mistake of firing a warning shot, like you've seen in Jewish Hollywood movies or TV shows. You could be unaware that our founding fathers and ancestors fought to preserve far more rights, in many ways, than a police officer does when it comes to the use of lethal force in self-defense. Or that you have the same right to violate the law if necessary, to protect others from harm. The idea of a well-regulated militia has been rendered meaningless to most modern people. But a militia of one, when well-regulated, and well-informed, can turn the tide of evil. You might believe, in modern times, you have a duty to retreat first, and shoot later. Just like you've been told. So the bad guys can shoot you in the back, or so you think you have to run backwards as they're running at you with a knife. Exactly what your enemy wants you to believe. Wouldn't any decent person retreat if they could? In my opinion, you'd have to be a decent person to be here, or you wouldn't take such risks to protect your people. Others may abuse the system to attack you with deadly force, then the courts, and then the media. So it's best to avoid violence. Which means speaking out against it. Which puts you in harm's way. There's no avoiding it. We're already under attack. If a criminal sees serious citizens carrying guns, willing and able to use them, they'll think twice. Seeing a gun deters crime. If it's on his hip, a firearm almost puts grandpa on an equal footing with an attacker. Without appeals process, grandpa then has the awesome power of administering the death penalty without possibility of appeal. He's the judge, jury, and executioner in the blink of an eye. As quick as you'd swat a fly, he can pull that trigger. Even without seeing a gun, when criminals are aware that responsible, determined, armed citizens will be present can deter crime. If you want the bad guys to stay at home, let it be known you're just as happy to leave the bad guys bleeding in the streets, as God intended. Massad Ayoob on "Judicious Use Of Deadly Force"
This video basically changed everything I thought I knew. Is it true? Any of the claims made in this video meet the standard of falsifiability. In other words, if you think he's lying, exaggerating, or misleading you, it's incredibly easy to check and see for yourself by looking up the laws and cases he mentions. You don't have to be a lawyer to Google the outcome of a case. At 55:30, discusses how your knowledge that an attack could be lethal, it changes the dynamics. If you can demonstrate (by retweeting this blog post for example) you knew the ways in which a stomp from a boot while you're on the ground could cripple or kill you, then it changes your state of mind from the standpoint of what methods of self-defense become justified. Other factors: Public perception. Who has the advantage? Could have been taking steroids for the past 18 months, but you can bet a prosecutor will want to show a picture of your attacker from high school or college when they were vulnerable-looking, thin, long-haired, genderfluid and dabbling in enough estrogen to convince a jury's subconscious mind you were facing a woman, not a man. See 1:02 for the way an attacker may be portrayed. 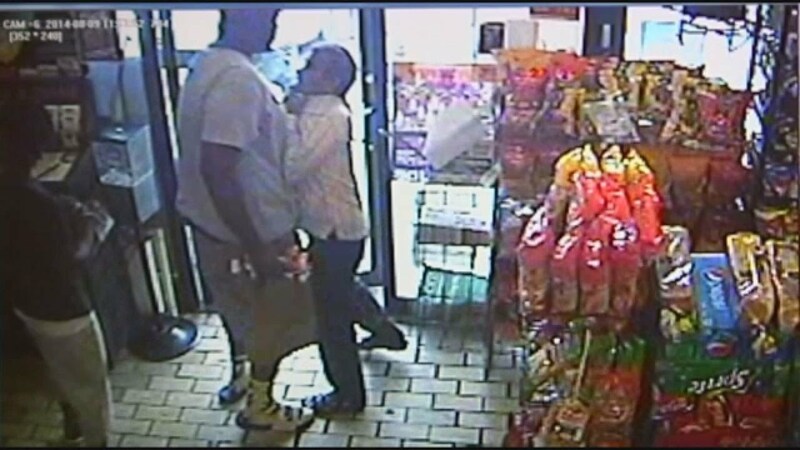 If you're familiar with the Michael Brown incident, you know the drill. Hence the need for these cameras all over the place. Sometimes, when you need to prove you're innocent, those intrusive cameras may actually be on your side. But if you or they were to become disabled in a fight: (55:40), this substantially changes the dynamics. After that fact, a person who's become disabled and THEN draws their weapon is treated differently. I'm not suggesting you go out and hobble your buddies and go out armed with wheelchairs and pistols for the glory of the Aryan race, but it's still something to be considered. Are you considered able-bodied? Are they culturally considered disadvantaged, even if they're an able-bodied mob of giants throwing rocks? People may generalize instead of examining the case on its merits. Not just the news media. This is why I keep saying it: Propaganda is the primary weapon of war. Also, even with the truth on your side, it doesn't mean much if that truth doesn't make it into court. And according to Ayoob, that's going to be your responsibility. Nobody else's. Just as it's your responsibility to defend yourself. The police can't protect everyone from being harmed. There's a ton of other useful information in this video. If he's right, this video is a piece of the puzzle in shifting the balance of power to the defender. Publicly reporting someone's crimes, . A method someone might use against you to get away with murder. Another thing I learned from this video is a gun on your hip is a good way to keep the attention of the class. That's all just a primer. And it will change the way you defend yourself in life, and the way you defend yourself from the system. If you don't think you have enough money to afford to support your family, keep a firearm, and defend yourself in court, it's probably because you didn't read this: How to Publish a Lucrative Local Paper Without , which is the breakthrough followup to Better Than Free Distribution: To Feed Your Local Army, Do This. These are my most popular articles so far. There are thousands of local businesses in my town, and probably more in yours. They can't afford to get their advertisements into the mailboxes of every home like the national chain stores can. But by teaming up, and working together like the big companies do, everyone saves money and gets the word out efficiently. Saturation methods reach the masses, and that's who you want to reach. Never miss an update! Get exclusive content. Subscribe to the free Fueling The Resistance emails.